When news breaks, you want to know about it and know what's coming next. 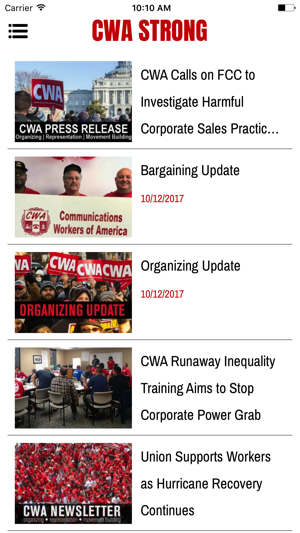 The CWA STRONG app for iPhone brings the latest union news, events, photos and opportunities for action from the Communications Workers of America right to you. You'll also be able to share photos from events that you attend with other CWA members. 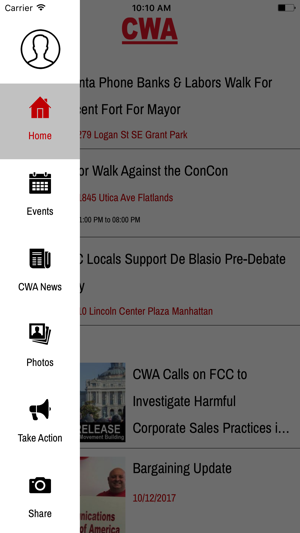 Download the CWA STRONG app to strengthen our union and protect good jobs, wages, benefits and retirement. New version corrects ongoing updates errors for images, online actions, and web links in the app and updates notification function to work properly on iOS devices. 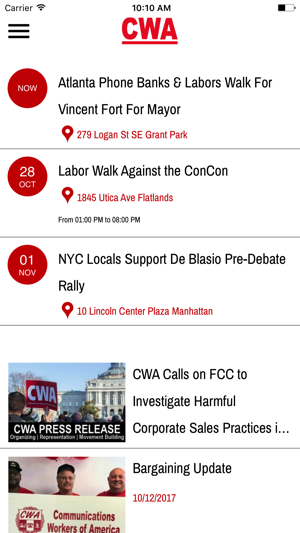 As a young person looking for better sources of info and for action, I think that this app is off to a great start, especially when compared to where other unions are with their app or lack there of. 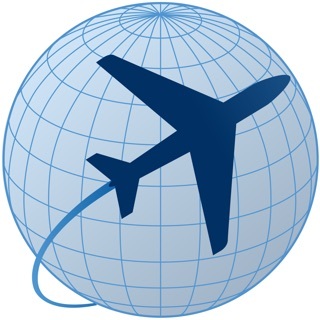 That being said, I would make a few suggestions that would help get many more miles out of the app. As much as I personally don't like to use Facebook, I do realize how many people do and what it's potential is for getting out your message. Offer a way for people to be able to post stories or actions from the app to Facebook. I'd also suggest that you consider a section to promote CWA actions or those of the AFL-CIO and our allies. I would also offer one more suggestion; the app and the logo should definitely be updated for high resolution to be compatible with where the devices that this app is built for are. It may not seem important, but this should not be underestimated. Do not be too far behind the curve. High resolution is not new and with new devices and iOS coming out it is rapidly becoming the standard and people expect it. 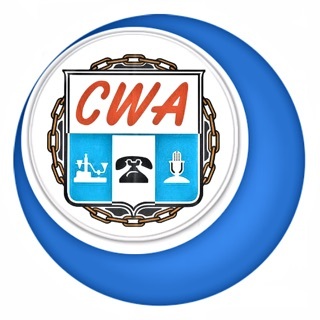 Is CWA espousing anti-American ideology? I'm a CWA member and strongly support workers' right to unionize, but c'mon and give me a break! Everything I read here has a left-wing liberal slant. For example, pro gov't healthcare and green jobs? Are you kidding me!? Are our CWA leaders not listening to America and the American People? Yes, I am a Conservative rooted in religious faith, family, patriotism, equality, and strength through military might to preserve and protect the God given freedoms bestowed upon us. And I'm proud to say it! You have to ask yourself; Why is CWA so supportive for so much Gov't control over our lives? CWA is on the wrong side of history and are on the wrong side of our overall well being as a country founded on individual freedoms and choices. C'mon CWA Leadership. You're out of touch with the mainstream of America and your membership! 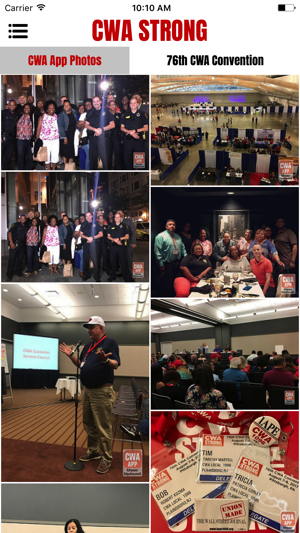 © 2017 Communications Workers of America, AFL-CIO, CLC. All Rights Reserved.